Amazing Beach Patio Poolside at Palisade Palms 950 sf of relaxation space, plenty of lounging chairs and tables. Kitchen has ample kitchenware, high-end appliances and breakfast bar. Dining area with large table that seats 6. Living area has pool views, flat screen tv, sleeper sofa holds a Tempurpedic mattress. Master Bedroom has private patio access, large walk in closet and views of the pool and beach. Master en suite has walk-in glass shower, bathtub and dual sinks. Second bedroom features queen size bed, tv and en suite bath. Secondary bathroom has walk-in shower. Third bedroom has day bed, pull out trundle and wall mounted flat screen tv. Third bathroom with glass walk in shower. This property has an amazing location on the ground floor with an extra-large gated patio (over 960 sq ft) overlooking the pool and beach, for spectacular outdoor living. There is a substantial amount of patio furniture that makes this THE place for entertaining! This patio has it all: a large outdoor dining table that seats eight, a sitting area with couch and chairs, and even a bar-height table! For those not looking for extra sun rays, they can relax under a giant umbrella or lay on two lounge chairs to gaze upon the surf. An outdoor grill is available for cookouts. And that is just the patio area! Step inside to view the 10’ ceilings and full sized windows that allow for wonderful natural light to fill the entire space. The condo is beautifully decorated in light warm colors and has an open floor plan. The dining area flows into the living area which flows onto the patio. The living area also features a sleeper sofa. The dining table seats six and a breakfast bar seats two. The fresh, white, open, fully-equipped kitchen has stainless steel appliances and all the conveniences of home. The Master Retreat has a king bed and great views of the pool area and beach, as well as an en suite master bath with separate tub and shower and a walk-in closet. 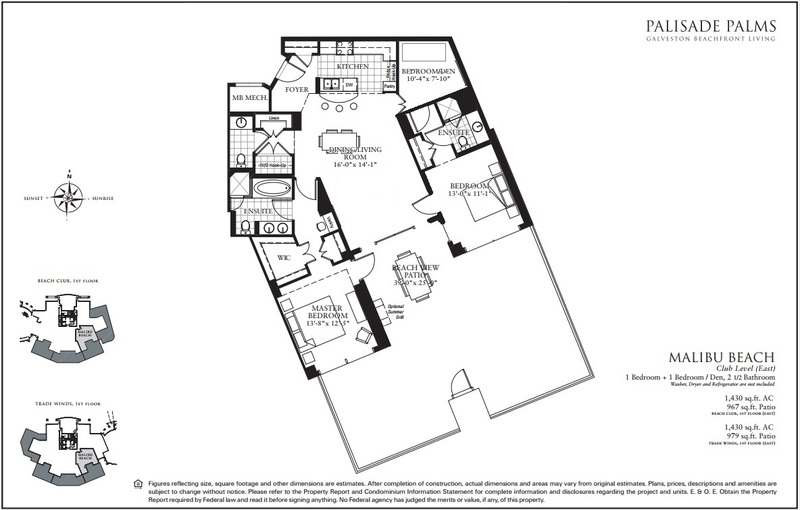 The secondary bedroom features large windows, a queen bed, and an en suite closet and bath with walk-in shower. The third bedroom has a daybed and trundle and is completely closed off for privacy, a modification from the original floor plan. No elevator rides to the pool or beach! The vacation rental was spotless. I was very happy with the location. I was very satisfied with the condition of the vacation rental. Overall, I recommend this vacation rental. Excellent as always! This condo is perfect for families with young children. We were steps from the pool, there was a a lot of space and we didn't need to ride elevators. My children also enjoyed the kids play area and small playground. Access to beach was easy. It was a great place to stay! Trip was amazing. Condo has a great location to the pool. Third bathroom a big plus. Amenities on property amazing! We really enjoyed our stay. The accommodations were fabulous and the staff was very helpful and friendly. This was our fifth year to come and we hope to do it every year. I highly recommend TW0104. My husband and I took our 4 boys here for a break. 16, 15, 13, and 7. We all had a great time, the pool is super nice and clean, the beach is beautiful and all so convenient because of the unit we were in.. it was super clean and equipped with every necessity. Would certainly return! The staff was without question a class act; friendly and accommodating. We loved every minute. 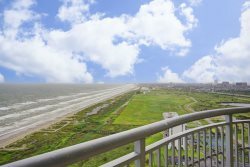 The condo is awesome and it will definetly be our new go to home in Galveston. We all loved it!